The most enticing landscapes and outdoor living spaces aren’t just to be enjoyed during the day. With the right illumination, you can create an enticing, inviting space you can enjoy day and night. Whether you have a focal point in your outdoor living space that you’d like to highlight with beautiful lighting fixtures, a natural stone path to illuminate for evening trips to the swimming pool, or simply want to add light to your landscape for safety and peace of mind, GreenEarth Landscape Services’ landscape lighting contractors can help you create a residential landscape lighting design that suits your tastes and fits your budget. As with every residential landscape service GreenEarth offers, we’ll be with you every step of the way, from inspiration to installation and throughout the life of your landscape. 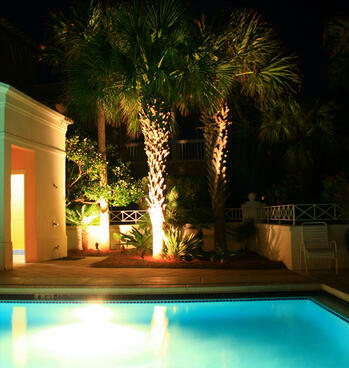 In addition to residential landscape lighting design and installation, GreenEarth also offers a full range of service and maintenance services to keep your residential landscape lighting in top condition through many seasons to come. 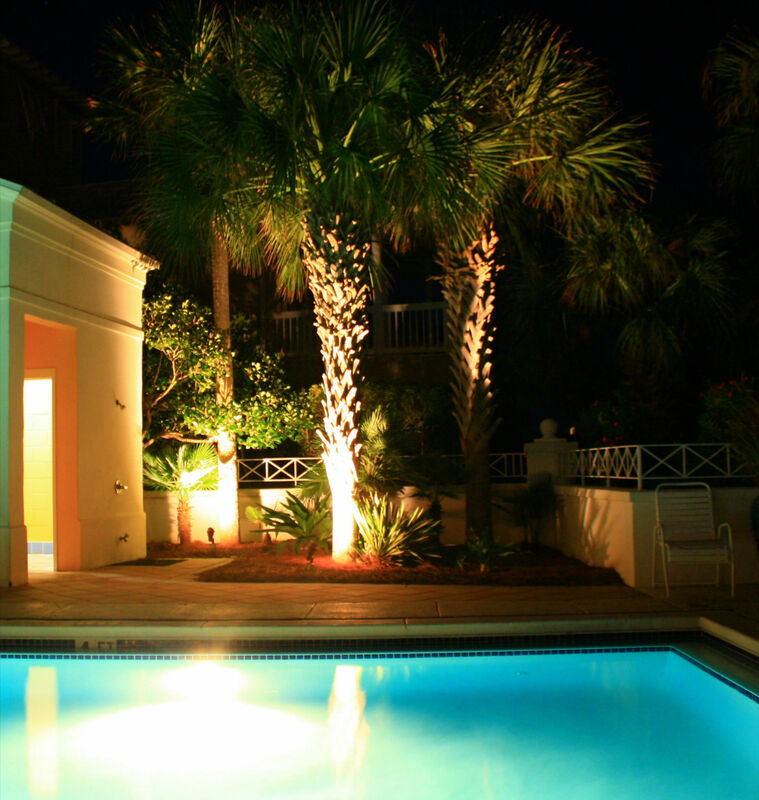 Ready to discuss your residential landscape lighting needs? You can reach our Panama City Beach office at(850) 236-1959 or our Santa Rosa Beach office at (850) 267-0010. Or, you can fill out our handy online form to schedule a free consultation. And be sure to download our free Landscape Planning Guide below. Get yourself some inspiration!